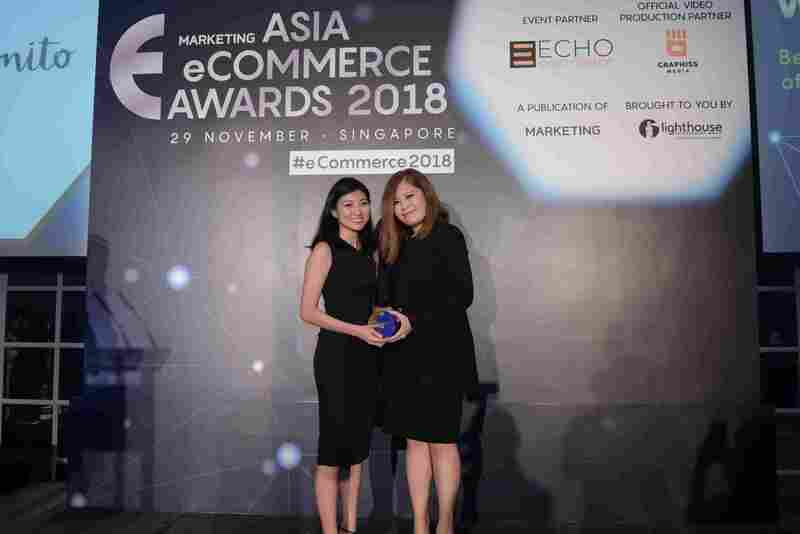 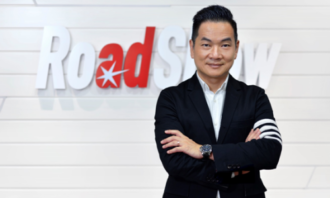 RedMart triumphed at Marketing magazine’s first-ever regional Asia eCommerce Awards, taking home the title of eCommerce Brand of the Year while IDOTYOU took home the top agency title of eCommerce Agency of the Year. 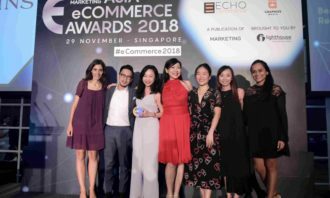 RedMart bagged the awards for Best eCommerce Merchant – Consumer Goods, Best eCommerce Customer Service, Best Design, Best Platform Experience, Best AdWords eCommerce Campaign and Best Mobile eCommerce Campaign.Meanwhile, IDOTYOU brought home two trophies throughout the night for its collaboration with McDonald’s Malaysia on the latter’s app, and this year’s re-launch of McDelivery. 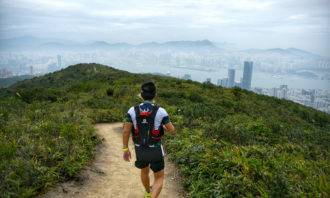 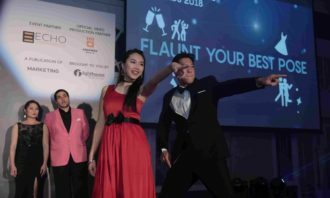 The event was held in Singapore, at InterContinental Hotel on the 29 November 2018. 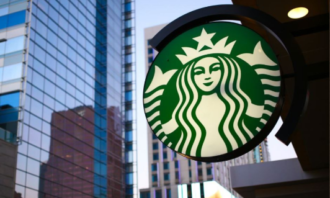 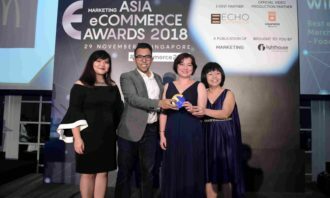 Coming in at a close second was McDonald’s Malaysia, also known as Gerbang Alaf Restaurants, which won in the Best eCommerce Merchant – Food & Beverages and Best Content Marketing eCommerce Campaign categories. 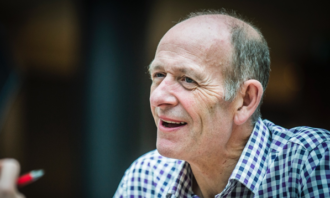 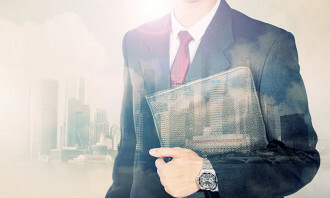 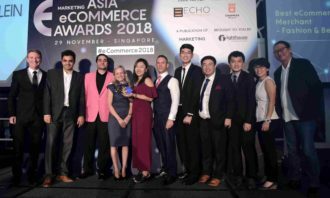 Other winners this year include Clarins, who won the award for Best Customer Retention Programme, DHL eCommerce, who came out on top in the Best eCommerce Shipping and Delivery category, and Love, Bonito who beat out the rest in the Best Use of Social Media category. 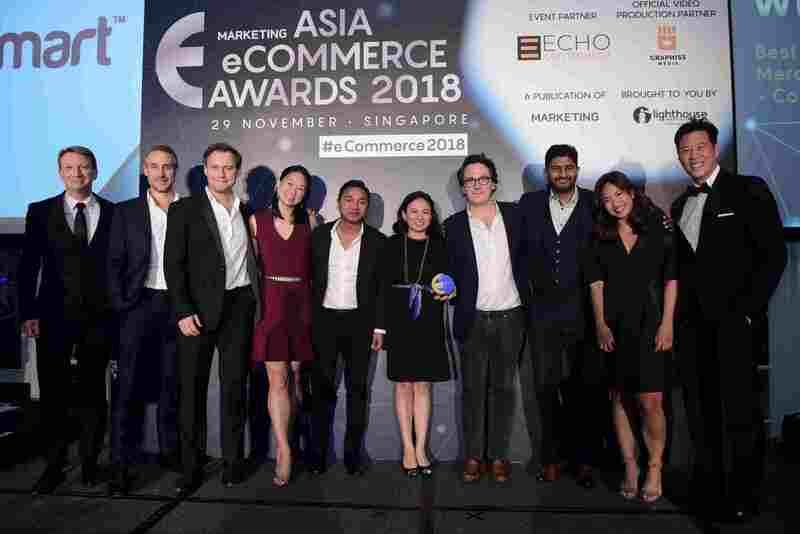 The 19-strong judging panel comprised of senior digital e-commerce and marketing professionals from renowned brands. 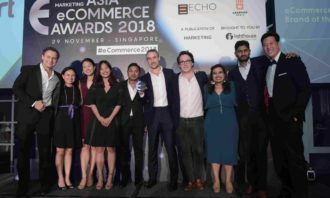 AXA Insurance, AIA, Celcom Axiata, Clarks, Cycle & Carriage, DBS Bank, DirectAsia Insurance, Johnson & Johnson, LEGO, Levi Strauss & Co, LINE MOBILE, Nespresso, NTUC Income, Permata Bank, Shiseido, Tokio Marine Life Insurance and Unilever were all represented on the jury. 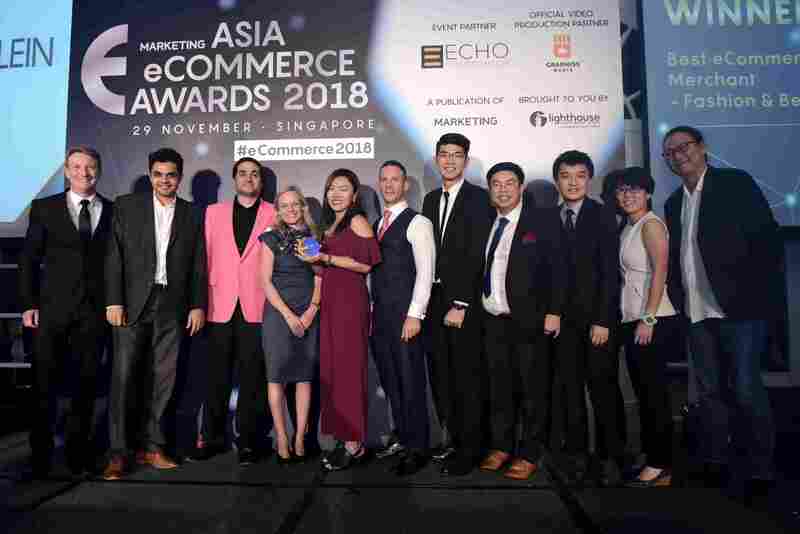 A total of 22 trophies were presented to the leading marketers and e-commerce professionals from across Southeast Asia, South Asia and ANZ. 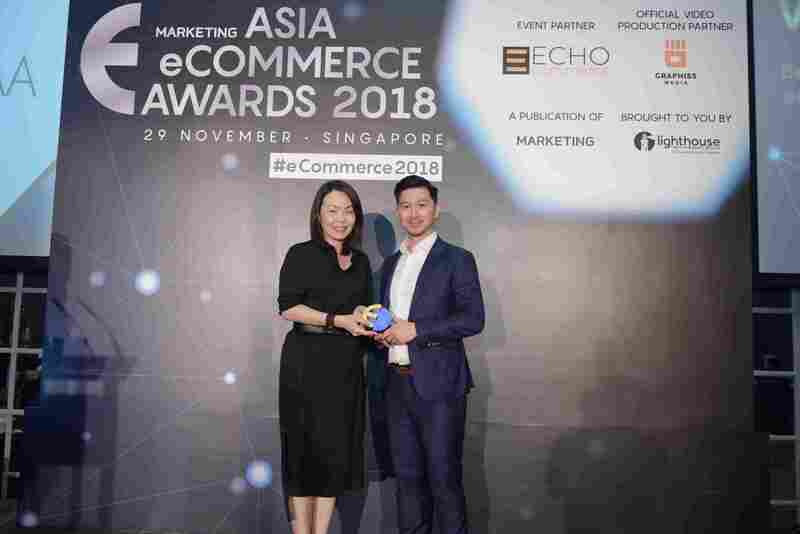 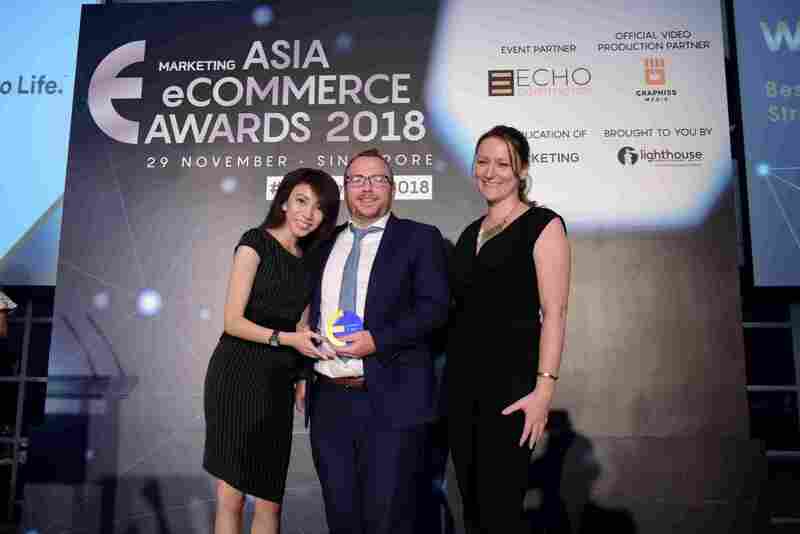 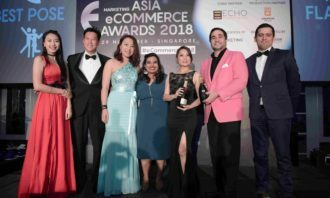 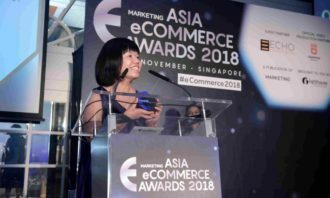 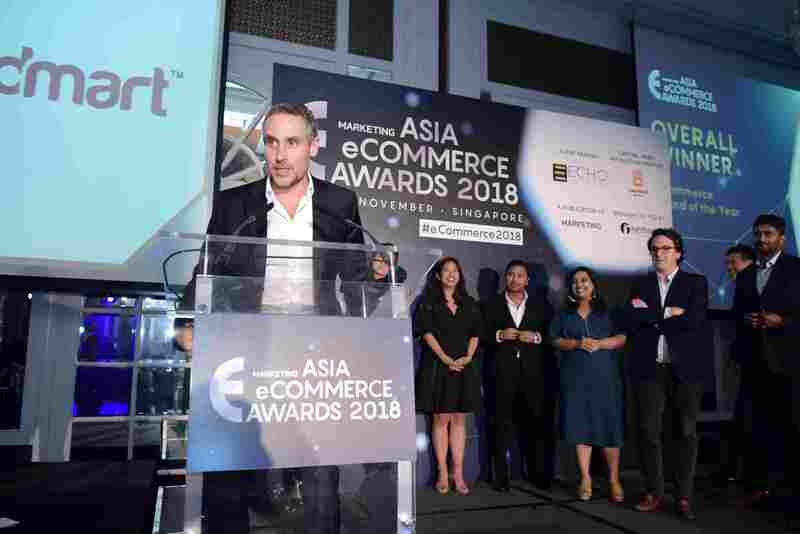 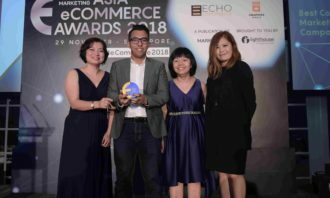 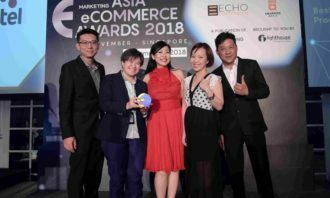 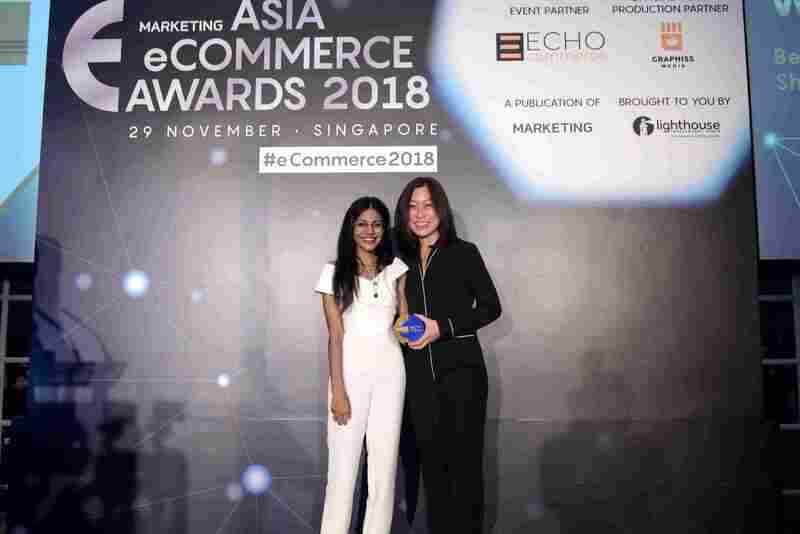 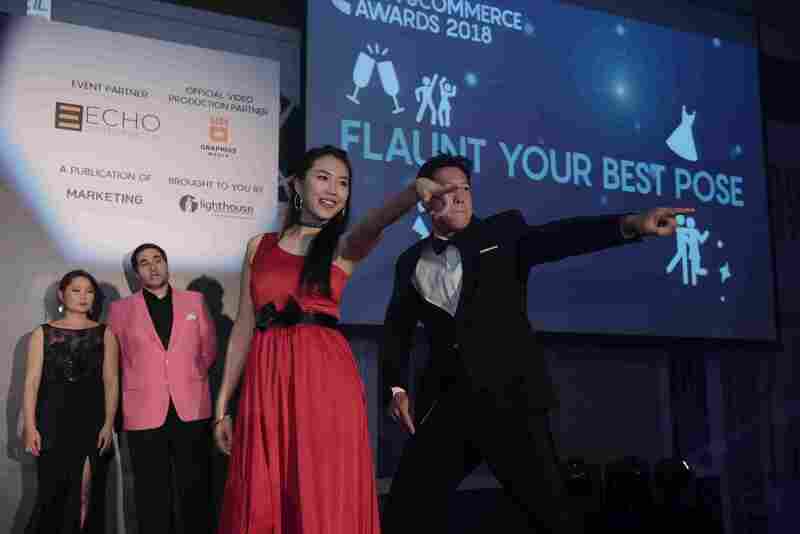 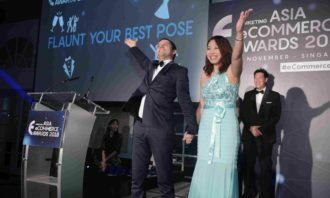 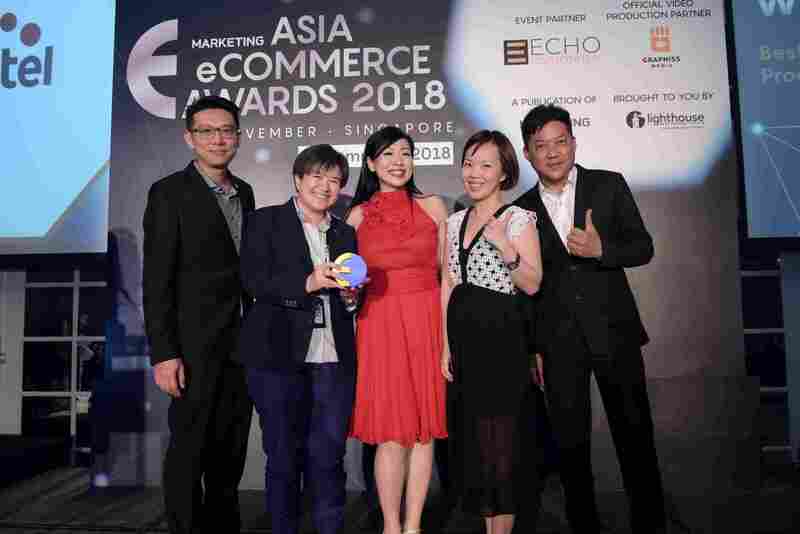 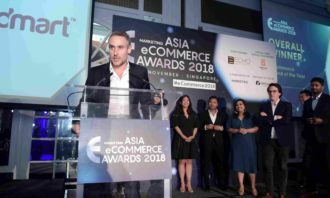 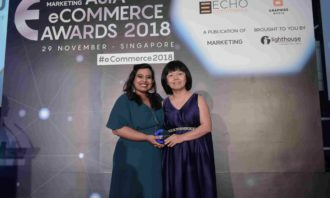 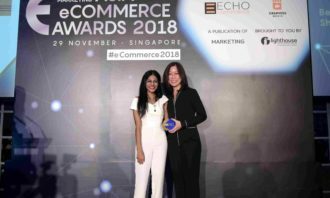 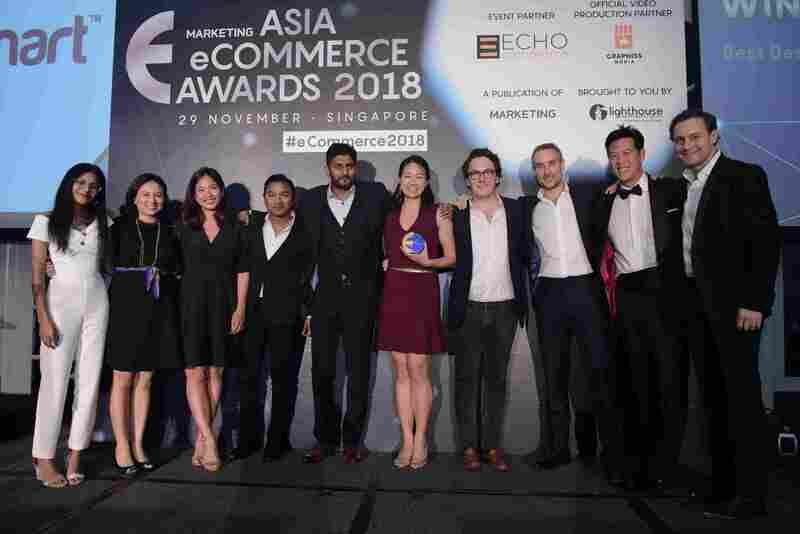 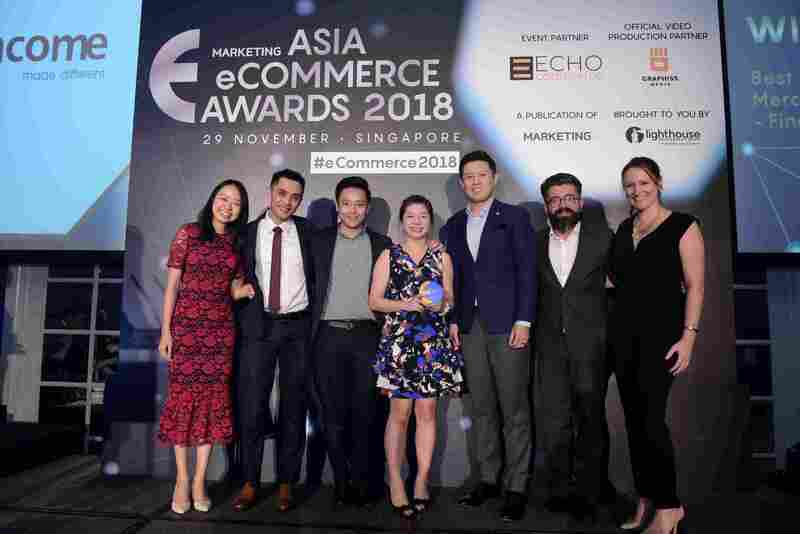 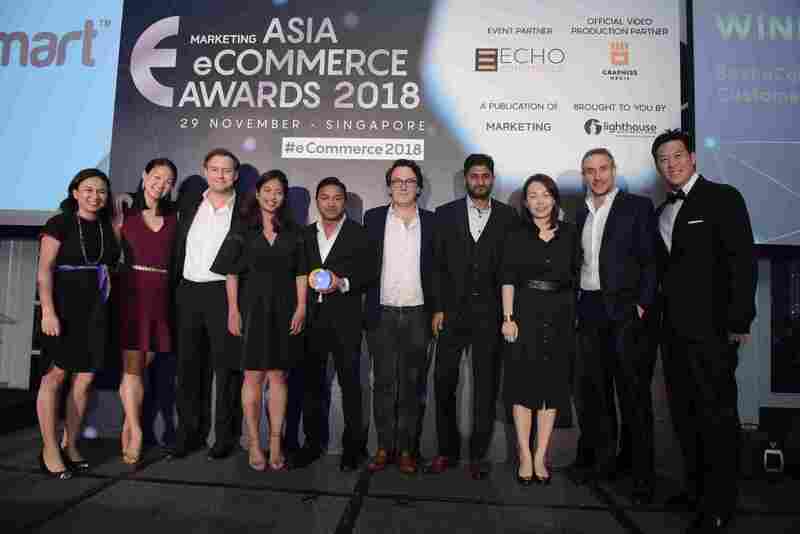 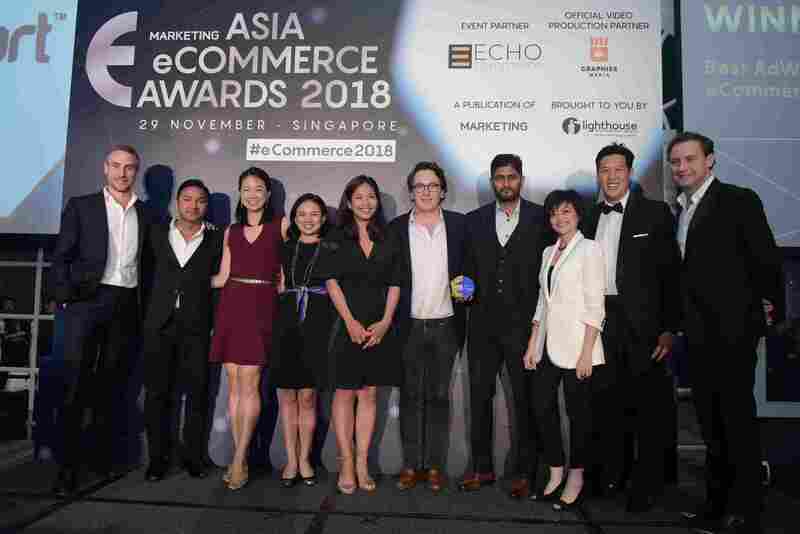 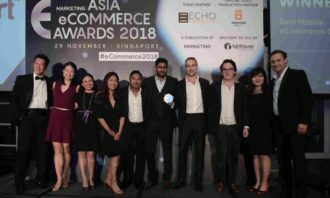 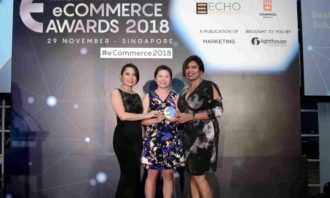 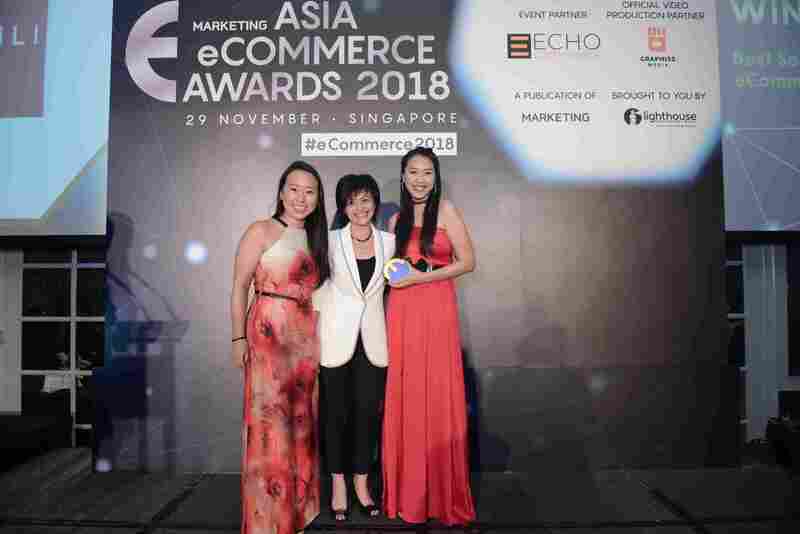 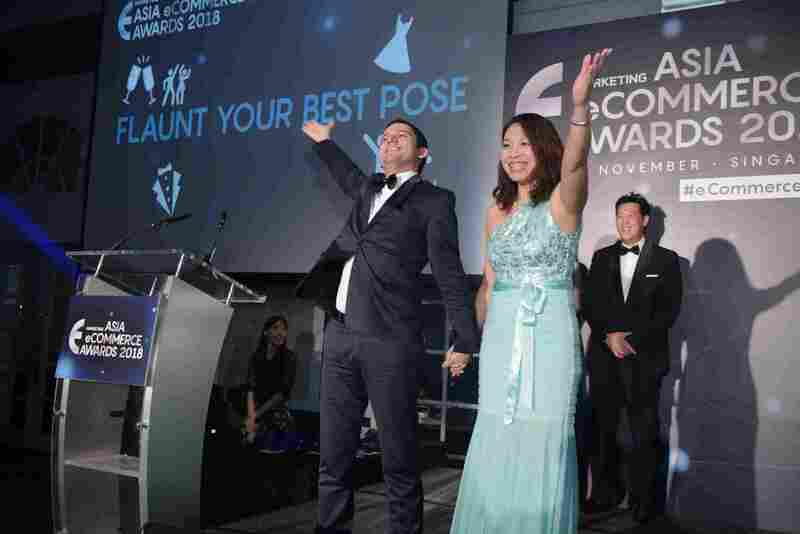 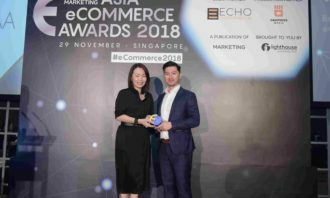 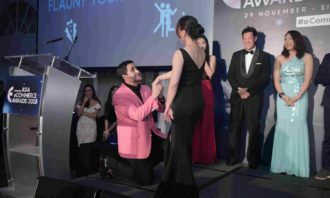 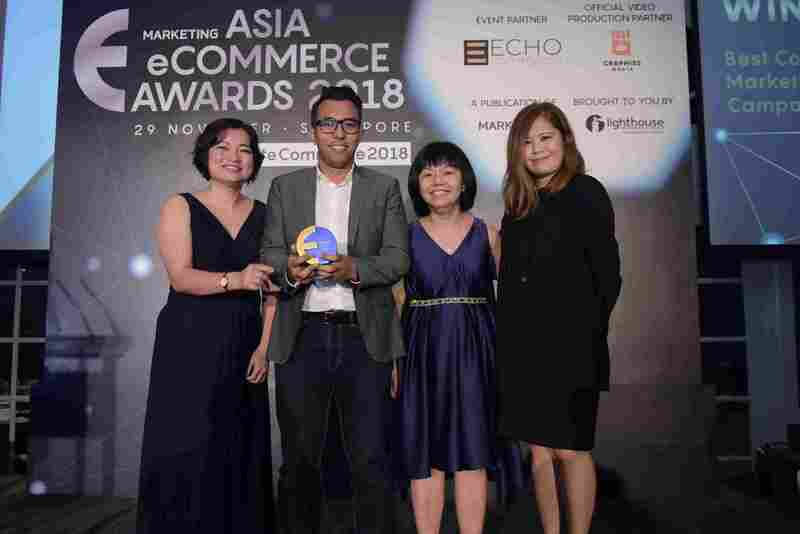 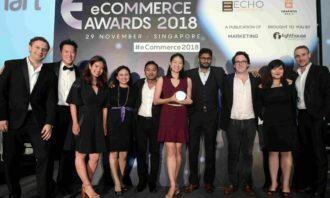 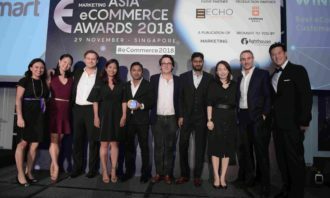 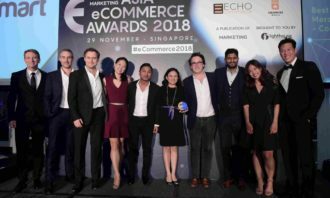 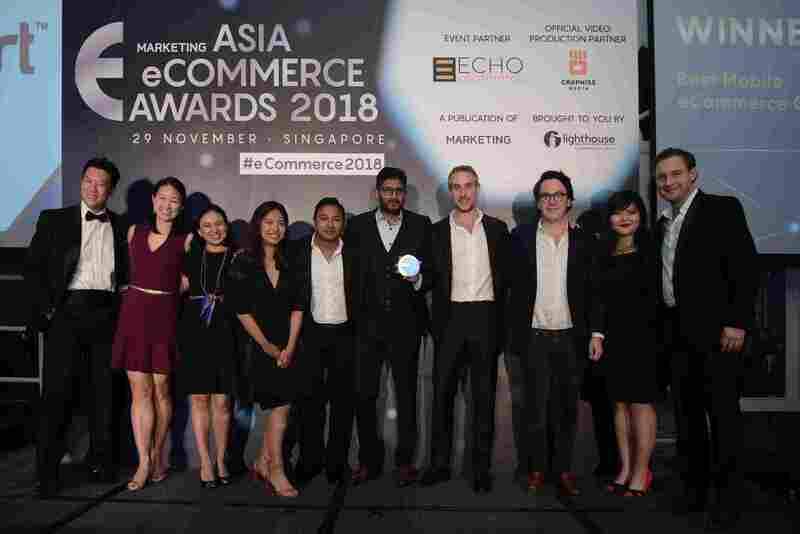 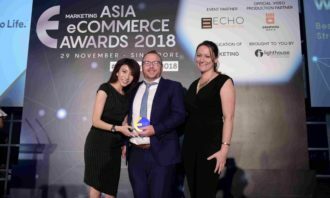 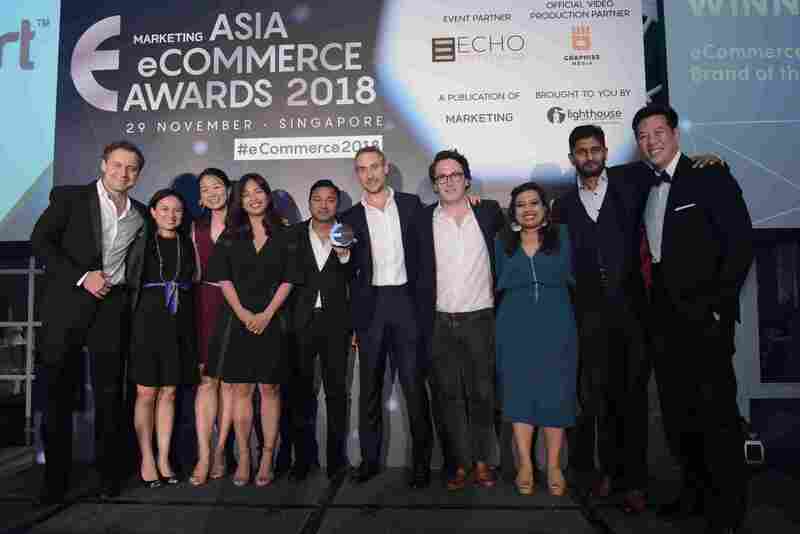 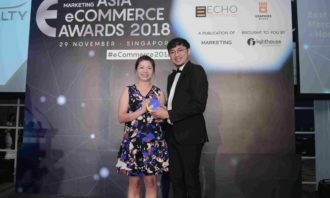 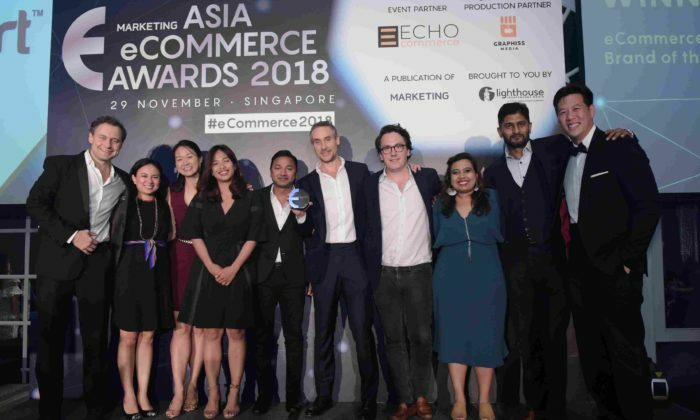 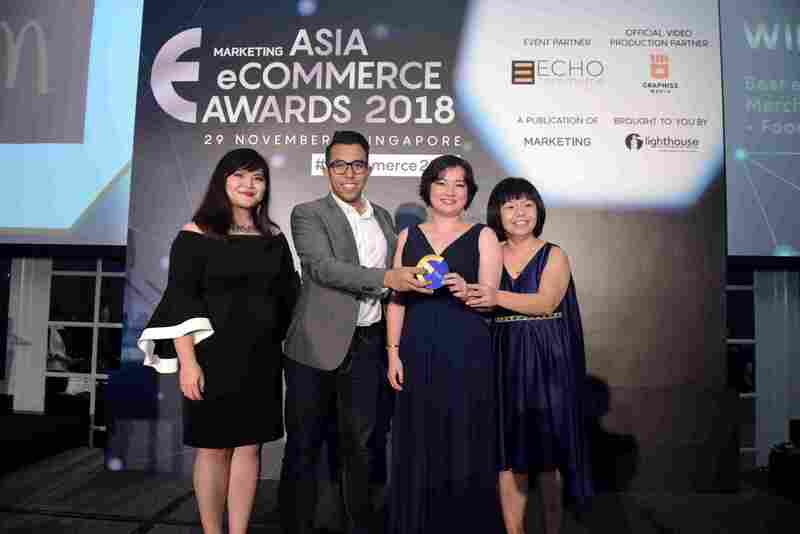 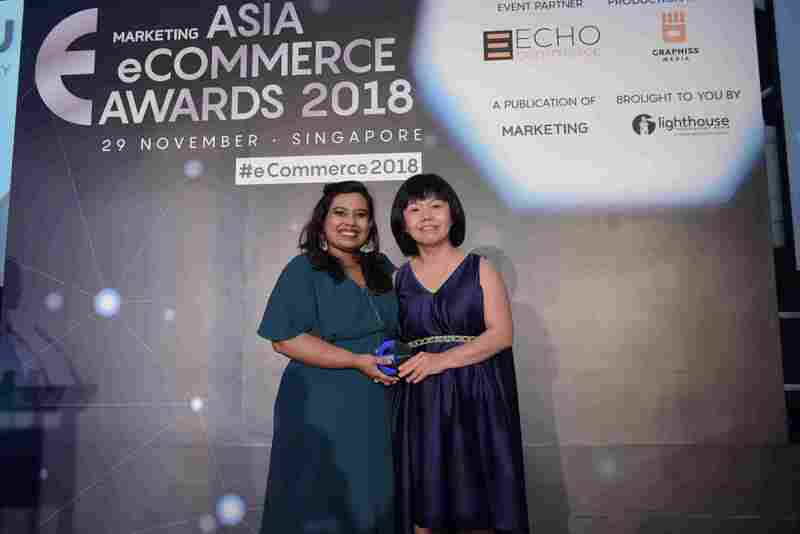 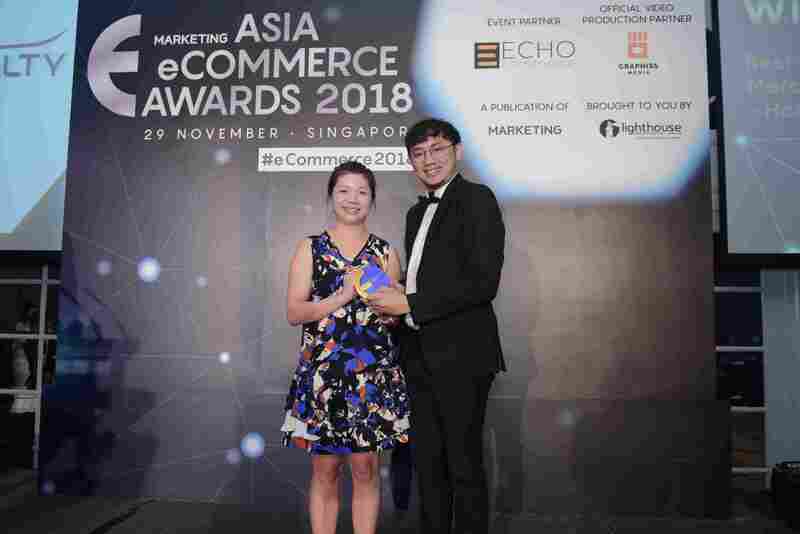 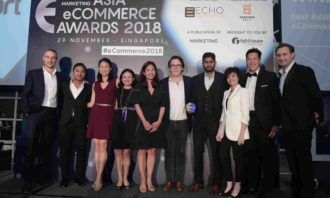 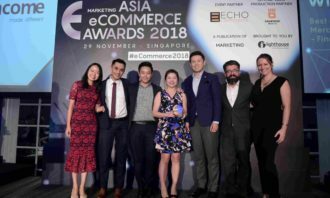 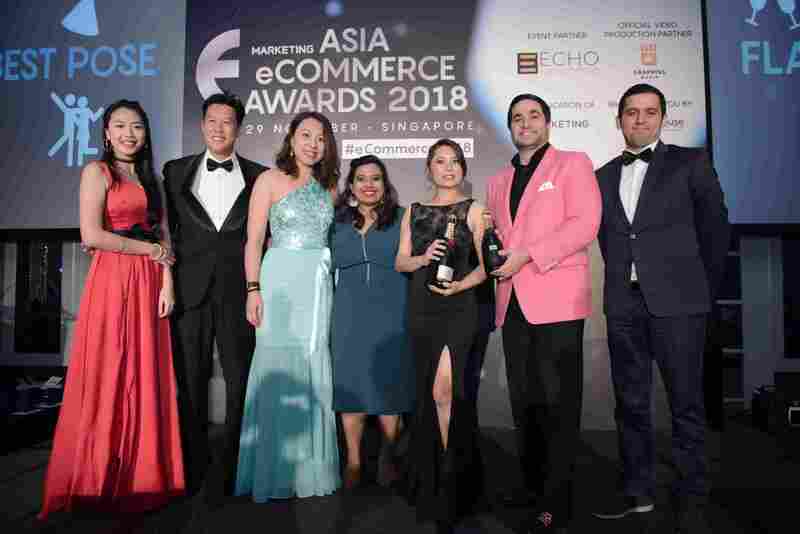 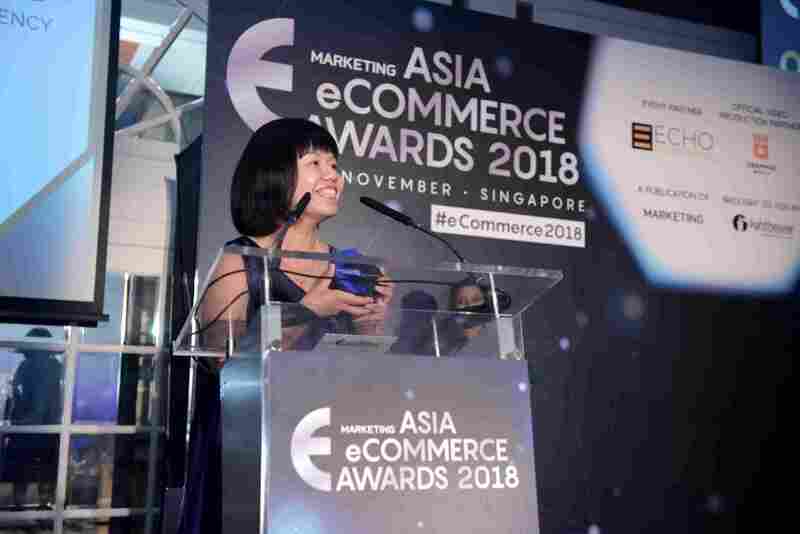 This first-ever Southeast Asian edition of the Asia eCommerce Awards was supported by event partner ECHO Commerce, and official video production partner Graphiss Media.